With its central location, Vital-Landhotel Pfleger is within easy reach of most tourist attractions and business addresses in Lienz. All hotel's guestrooms have all the conveniences expected in a hotel in its class to suit guests' utmost comforts. 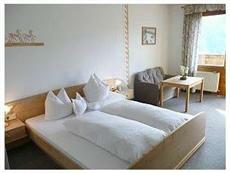 All of the guestrooms are replete with daily newspaper, desk, television, shower, balcony/terrace, satellite/cable TV.Guests staying at this Lienz accommodation can enjoy a wide range of hotel facilities such as elevator, bar/pub, laundry service/dry cleaning, restaurant, safety deposit boxes. To unwind, guests can enjoy the leisure facilities provided on the hotel's property, including massage, jacuzzi, sauna, tennis courts, spa, garden. Along with its convenient location in Lienz, the hotel also offers a wide range of services and facilities to the guests. Make your reservation at the Vital-Landhotel Pfleger Lienz now by selecting your chosen dates of stay and submitting our secure online booking form.